WikiDIY.org today released WikiDIY app for Android. The WikiDIY application is designed as a user-friendly mobile application that allows users to have constant access to DIY projects from around the world right in their smartphone, even when offline. Simply connects the user with the website WikiDIY.org. Users can browse thousands of DIY projects in this app, add their own projects, store projects in a bookmark to make them quickly available even when they’re offline, rate others. Users can also use the social network, follow others, write comments and wall posts, set up groups, and send messages. Be inspired: Are you looking for inspiration for a new DIY project? Don’t know where to start? You’ve come to their right place! Bookmark your favorites: If you find the DIY projects you like, you can simply add it to your bookmarks to find it quickly next time, even if offline. Share ideas and DIY projects: Everyone can share their project with others. It’s easy. All you have to do is register and then fill out a basic form about your project. Do you already have a project published somewhere else online? All you need to do is enter the link and we’ll redirect others there. Promote your blog: Simply create a profile, and include a link to your blog. Follow others: If you find someone or something that interests you, you’re able to follow them. On your profile page, you’ll be able to see their activity on WikiDIY, including new DIY projects and posts. Talk with anyone: Send comments, rate the work of others, or offer encouragement and advice. Send messages: Communicate with others via private or public messages. Start groups: Start your own group and invite others to join. Connect, discuss, share. WikiDIY is available on the Google Play Store for free. WikiDIY is designed for Android phones with Android 4 or higher. All content on WikiDIY is free and always will be! No payments, no hidden costs, no limited access, no premium accounts. Everyone is equal on WikiDIY. 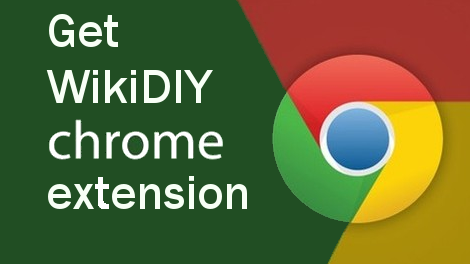 WikiDIY.org was launched at the beginning of 2018 by Tony Poruba as an aggregator of DIY projects. On WikiDIY.org are published only DIY projects, instructions, and ideas. NO selling links, NO blank pages, NO “TOP 10…” posts. Every link here leads to complete tutorial. Everyone can share their project with others. Every registered user can submit a DIY project directly on WikiDIY.org or link to a completed project anywhere on the Internet. Users can also submit their projects placed on Youtube or Vimeo. WikiDIY.org is also a social network where people can write on the activity wall, follow others, set up groups, discuss and send messages.